Mike Bickle is a wanted man. Not for a misdemeanor or felony. Not for a political endorsement. On the day I arrive at the International House of Prayer Missions Base of Kansas City, he’s being sought after by New York Yankees relief pitcher Mariano Rivera, who’s in town for a series and is checking out what’s become known worldwide simply as “IHOP.” Though Bickle doesn’t recognize the greatest closer in baseball history, he swaps stories with Rivera to the point that I can tell he’s been here before, many times, and is unmoved by celebrities seeking out him or his ministry. One look at the IHOP director’s closet-size office or modest duplex house (shared with his mother-in-law) and it’s obvious he isn’t too concerned about prestige, money or fame. Instead, Bickle’s priority—dare I say obsession—is about being wanted by another. The fixation began in July 1988. That’s when, as a 32-year-old up-and-coming pastor, he realized he was being passionately pursued by God Himself. Through a series of divine encounters, the Lord gave Bickle a mandate that his life’s ministry was to be centered on the Bible’s most intimate message: the Song of Solomon. It wasn’t exactly a natural fit at the time. The son of a Golden Gloves champion, Bickle is a man’s man—his handshake, “man hugs” and love for football affirm this—and he admittedly considered Song of Solomon something better suited “for the women’s ministry.” Yet as his study of the book morphed from weeks to months to years, he became consumed with a foundational truth unveiled throughout Solomon’s poem: God deeply desired him. He didn’t just like him; the God of the universe was consumed with love for him, His passion so unrelenting that Bickle didn’t stand a chance running from it. He had been created to experience profound intimacy with God, and everything else was secondary. 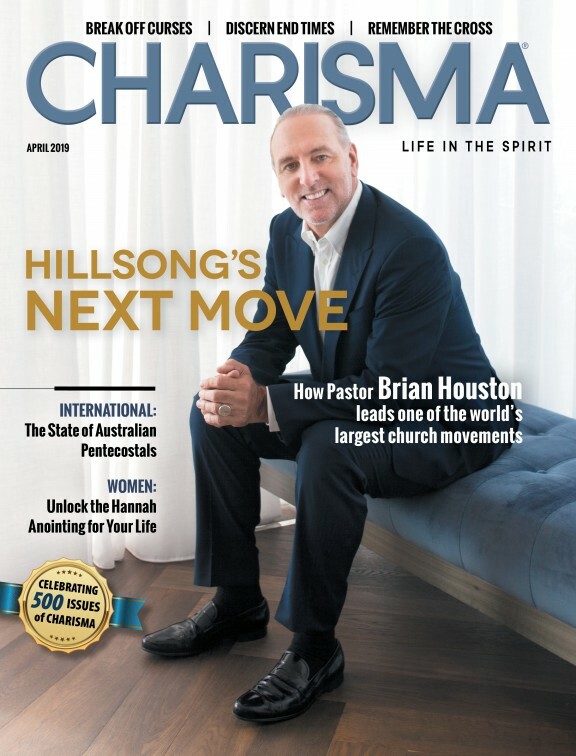 Fast-forward more than 20 years and Bickle’s revelation of this passion hasn’t just deepened, it’s expanded in step with an 11-year-old ministry that now involves more than 2,000 people and envelopes an entire suburb of Kansas City, Mo. Not only has the 24/7 prayer center literally become a fixture on city maps, its astounding growth has even local unbelievers asking who’s behind this. And that’s just how Mike likes it. Technically, the blueprints for IHOP were given years before its official launch on May 7, 1999. The idea for 24/7 prayer has been around since the days of King David, and God instructed Bickle to do “24-hour prayer in the spirit of the tabernacle of David” as early as 1983. After years of what Bickle calls “pretty boring” prayer, a series of supernatural events and divine directives prompted him and 20 full-time “intercessory missionaries” to launch IHOP. The idea was novel: the full-time occupation of intercessors who raise their own support and commit to 50 hours a week, half of which is spent in a central prayer room that blends intercession with musical worship, and half of which is spent in either ministry or service. That concept proved invaluable throughout the “trailer years” when a lean staff did whatever it took to keep the fire going, at times playing instruments with gloves in weeklong snow storms with no electricity. Misty Edwards, IHOP’s most recognized worship leader today, was part of the original group and led 12 two-hour sets each week for nine years. By the following year IHOP had grown to 100-plus staff members and was attracting a predominantly college-age crowd. Ever the long-term thinker, Bickle knew he’d encounter waning zeal among these 20-somethings (“Intercession will wear anyone out,” he says) and began establishing a long-term model for worship that could keep the musicians and singers motivated through the 12 two-hour sets each day. As regimented as that structure may sound to those who thrive on spontaneous worship and prayer, it’s integral to what happens in the prayer room—which, in turn, is the heart of everything IHOP is and does. The ministry includes 1,000 full-time staff and 1,000 full-time students at the university, IHOPU, yet each person’s role, function and purpose at IHOP begins entirely in the prayer room, where adoring Jesus is blended with rending the heavens on behalf of everything from abortion to Israel to revival on college campuses. Skeptics may question the academic quality of a school that leans on prayer as its main teacher, but not to be overlooked are the 36 master’s degrees and nine doctorates represented among IHOP’s leadership. Rich Stevenson, a former Asbury College professor who now serves as IHOP’s director of community life, is quick to emphasize the dramatic results of centralizing prayer in the educational process. Such a prayer-saturated climate undoubtedly factored into the student “awakening” that erupted out of a 9 a.m. Bible class last November and continued first as nightly, then weekend meetings through early October. The move of the Holy Spirit drew thousands, many of whom reported physical and emotional healings. Broadcast globally on God TV, the awakening not only introduced IHOPU to a new audience, but also played a part in a surge of incoming students that includes those from abroad. This fall the university began accepting overseas applications for the first time, and leaders say they have more than 5,000 international students waiting to enroll. While IHOP could possibly double in size over the next year, staff members have already seen God’s hand at work preparing the ministry for exponential growth. As Bickle and I drive in his Toyota Corolla around the dozen Grandview properties, he points out entire apartment complexes and housing communities filled with nothing but IHOPers. In 2008, Forbes ranked Grandview among the top 10 fastest-dying towns in the country, and the economic decline opened doors for staff and students to purchase housing at dirt-cheap prices. Just as amazing as the potential for prayer warriors to literally possess an entire suburb in the heart of America are the over-the-top supernatural stories of how God provided each of IHOP’s sites. Remarkable. The man uses the word so often he should trademark it, yet there may be no better way to describe the rich, prophetic and supernatural history behind several key facets of IHOP—a history that took Bickle no fewer than eight hours to recount at the ministry’s 10-year anniversary mark and involves prophecies, visions, trances and God’s audible voice. Covering 125 acres that stretch along Highway 71, the estate was one of many belonging to Grandview native President Harry S. Truman. As the first president to recognize and intercede for the nation of Israel, Truman sold the land to a Jewish couple. In 2007, the couple’s children knocked on IHOP’s door and, without knowing of the ministry’s intercessory commitment to Israel, offered the property for a mere $1 million, despite its $10 million market value. Within days an IHOP supporter had covered the transaction. Adding to the story’s prophetic twist, when the title deed was signed on Jan. 27, 2008, it marked exactly 50 years to the day from when Truman had sold the property. That campus isn’t just expanding in Kansas City, it’s reaching virtually every nation of the world, thanks in part to IHOP’s relationship with Youth With a Mission (YWAM). Though the 24/7 prayer center has long partnered with the world’s largest missions organization, this year YWAM founder Loren Cunningham asked Bickle to meet with him and strategize on how to call the entire missions movement to prayer. Together with a team of top leaders, they dreamed of seeing prayer watches in every missions organization and took the first step by establishing one at YWAM’s headquarters in Kona, Hawaii. But when it came to what that should look like, the conversation grew interesting as Bickle advised against the idea of a 24/7 Kona house of prayer. Bickle recognizes, as he’s learned from Cunningham, that it’s more important to influence rather than control. He’s not looking to expand the IHOP brand—in fact, more than once we discuss the countless requests his staff gets from people wanting to “start an IHOP” in their city. He’s proved this for years by allowing people to copy, distribute or plagiarize any of his teaching material, believing it not only causes people to take ownership of the material, it also causes them to argue for and fight for the message. One of those messages has actually become Bickle’s calling card in recent years and furthered the controversy that, for reasons beyond his control, surrounds him. Mention Mike Bickle’s name to most charismatic believers and, aside from prayer or passion for Jesus, they’ll automatically think of the end times. Indeed, Bickle has developed a unique twofold emphasis of the praying church’s call to deeply love Jesus as “friends of the bridegroom” and its role in the end times as forerunners. As was the case with the Song of Solomon, the latter wasn’t a message he’d planned to give. Bickle calls his end-times thrust a “sovereign accident” that began with a challenge from his staff to do a 10-week series on the book of Revelation. That series turned into a seven-year sermon during which he would preach on Saturday nights and meet with a group of 20 leaders the following day to poke holes in his teaching. “It ended up becoming a laboratory for understanding,” he says, adding that often the greatest course-changers would come from young students who were out to “prove the old man wrong.” Through this process, Bickle has landed upon teaching historic premillennialism with the added dimension of a victorious church walking in New Testament power, purity and unity. For all Bickle’s passion to unlock in others the revelation of a loving God, he is equally as zealous to stir up a sense of immediacy and understanding among those who disregard the Bible’s specific, copious directions for the end times, which he personally believes will be seen by a generation already born. That long-term generational target is also one of the driving forces behind IHOP’s recently expanded vision to combine 24/7 prayers for justice with 24/7 works of justice until Christ’s return. Of the 75 departments that make up IHOP, more than three-fourths are dedicated to action outside the prayer room—everything from orphan care to crisis response to inner-city ministry to training marketplace leaders. This is in addition to a thriving worship label, music school, conference ministry, media institute, Israel initiative, children’s and high school ministries, and an ever-increasing list of other ministries making their mark. As powerful as each of those is, what sets IHOP apart from most organizations is a corporate culture of humility that, amid rapid and exciting expansion, understands its core function will always remain in the prayer room. “If your idea is that people are just sitting there in the prayer room, you’re missing the point. You have to have a revelation of what’s happening in that room or it’s just sitting there,” Bickle tells me before we enter the prayer room for an intercessory set he’s leading with Edwards. As if following a script, we walk in right as she sings what’s become the cry of an entire army of worshippers: How far will you let me go? / How abandoned will you let me be? It isn’t long before my eyes well up with tears. Not just because I have the sense I’m in a place that’s changing history. No, I’m simply overwhelmed with the same revelation Mike Bickle and 2,000 other prayer warriors share: I, too, am a wanted man. Marcus Yoars is the editor of Charisma and is still reeling from his life-changing visit to IHOP for this story.